Firstly, A Warm Welcome to TRaewyn Jewelry and my official website. 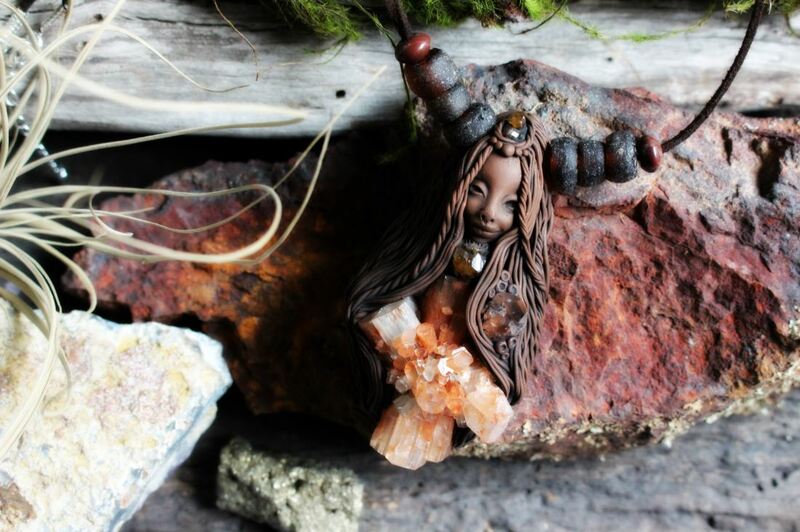 My name is Tina Raewyn, I am an Australian Artist who has been creating Clay & Gemstone Jewelry since 2011.
that I felt, from a bracelet that my mother gave to me many years ago. It is jewelry that is intended to uplift the wearer. and although each gemstone carries a metaphysical meaning - the meaning behind the jewelry goes beyond that. My main focus is to create pieces for people who want to re-connect with themselves and the world around them, people who are on a soul-journey. and by the connection that we have to our spirit and the earth. The pieces are inspired by my own journey, of being completely lost and slowly finding my way. 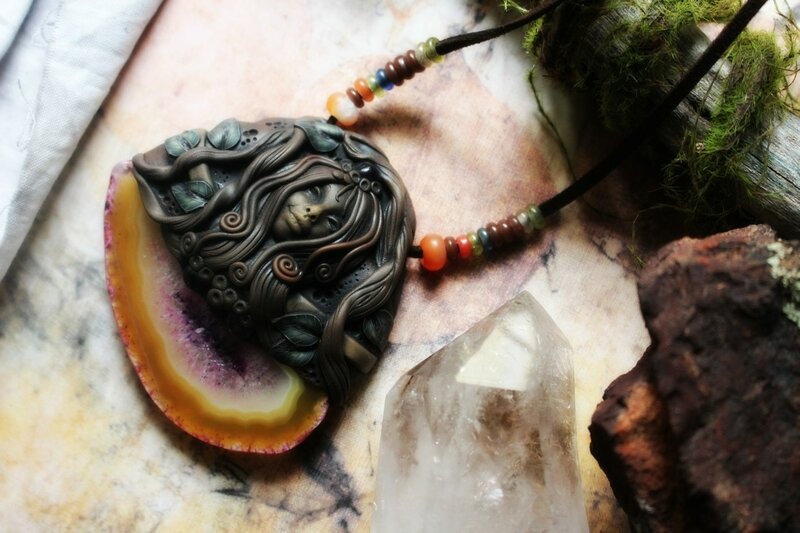 ​A little description that I found says: "A talisman is an object, often a gemstone or necklace, that has a specific ability to aid a person in focusing and amplifying his or her power. The power of a talisman is its ability to aid you in achieving the future you desire." My interest in Talismans came about simply because of a bracelet that my mum had given me. - and although it was actually quite ugly, it was beautiful to me because my mum (who had little money) had bought it for me. ....I would feel a rush of love come over me, a feeling of safety, a whisper that told me to 'trust myself'. That is precisely the energy that I put into this jewelry. The Jewelry comes from a place of love. The majority of my pieces incorporate Gemstones. Gemstones have always been seen as sacred gifts and medicine from the Earth. by indigenous and tribal people around the world. Gemstones and crystals were viewed as a bridge to the sacred energies of Gaia or Mother Earth. 'Earth Medicine' is concerned with our connections with the Earth, with the elements, and with other forms of life. The gemstones remind us to honour our spirit, to remind us that we are sacred beings, that we must nurture our souls and surroundings. 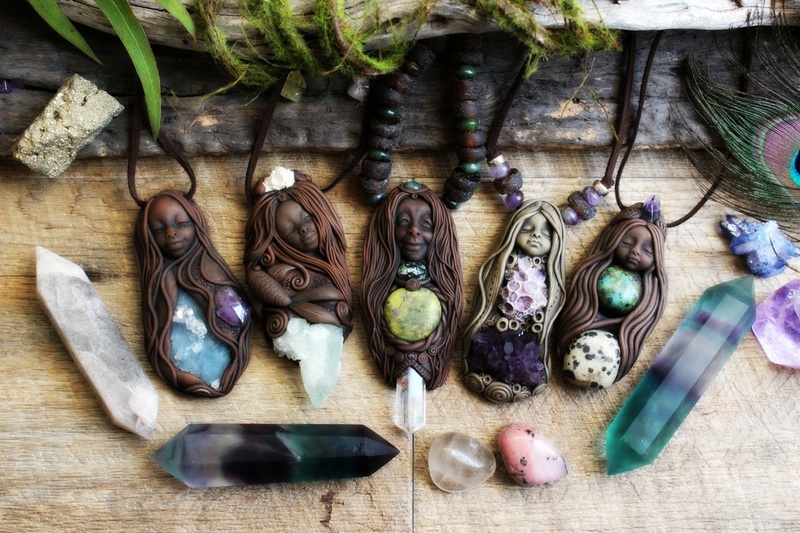 Gemstones are sacred to the wild woman or medicine woman, who knows that in her world everything is interconnected, that the people, the plants and the animals, the land and celestial bodies are one and the same. she is a part of nature and is morally obligated to treat animals, plants and her land with respect. ​She is Spirit, She is Soul, She is Earth. ​Available at http://www.music-mosaic.com/ecom/didgeridoo-dreaming.htm Shared here with Kind Permission from Music Mosaic, Australia. TRaewyn Jewelry uses recycled cardboard boxes & packaging which are manufactured from 100% post-consumer recycled paper pulp. ​​An automatic donation from TRaewyn Jewelry goes directly to Sea Shepherd Australia each Month. ​Sea Shepherd Australia is a non-profit, direct-action ocean conservation organisation. Fair trade is an international movement designed to alleviate global poverty and promote sustainability.